According to The Telegraph, we’re one of them. Hmm, might be worth checking out the other nineteen before agreeing. Time was when wealthy Londoners would not have dreamed of buying south of the river. 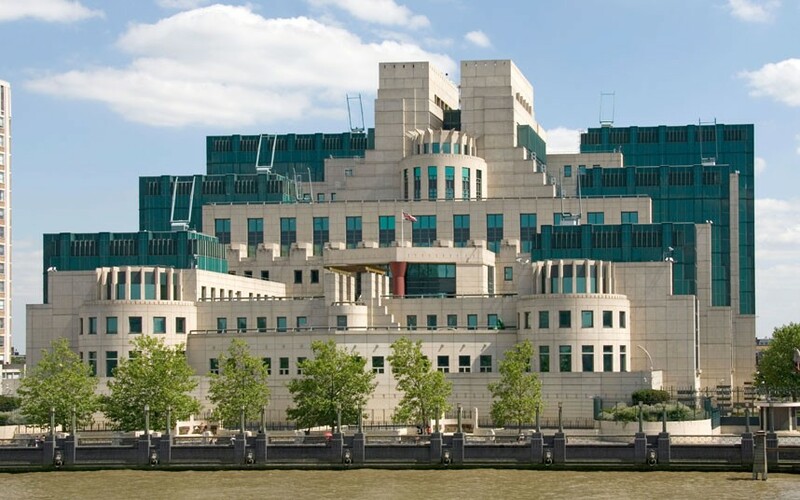 But the sight of James Bond against the background of the MI6 building in Vauxhall – particularly in the high-speed chase along the Thames in The World is Not Enough (1999) – was like a wake-up call. Riverside properties in Vauxhall continue to be among the most sought-after in the capital. “Buyers often assume that the security must be good because of the James Bond and MI6 connection,” says Robert French of Knight Frank’s Riverside office. On the market Spectacular four-bedroom apartment on the 45th floor of One St George Wharf: £19.5 million with Savills. If you like Damien Hirst, and frankly even if you don’t, he is opening a public gallery in Newport Street, Vauxhall. Damien Hirst says his public gallery in south London, which will display his personal art collection, is to open in 2014. The gallery will house around 2,000 pieces including works by Hirst, Banksy and US artist Jeff Koons. The gallery – designed by architects Caruso St John – will take up the whole of Newport Street and incorporates the conversion of a terrace of three listed buildings flanked by two new buildings. We believe that the basement is currently being dug out for a new climbing centre being installed by The Lakeland Climbing Centre in Arches 46-47A next to the Hoist in South Lambeth Road. Well at least they won’t be short of ropes and chains. We put up a post on 16th November to let you know that there was yet another fast food application in the pipeline (Arch 45A, South Lambeth Road) with Lambeth Council, due to be heard on 18th November. Well, it’s back, only this time the company has changed its name, from Sadaf Mirza to EssKay Enterprise Limited. A fresh application has been submitted and will be discussed on 23rd December after 7:00pm at Lambeth Town Hall, SW2 1RW. Awful timing, but if you want to oppose this, if for no other reason than on the grounds of public health, let alone more rubbish, noise, etc., then try to make it to the hearing. It’s up. It’s a bit big (!) or maybe the reception lobby is a bit small, but we’re very proud of it. A huge thank you to the helpers who managed to dress it so beautifully. 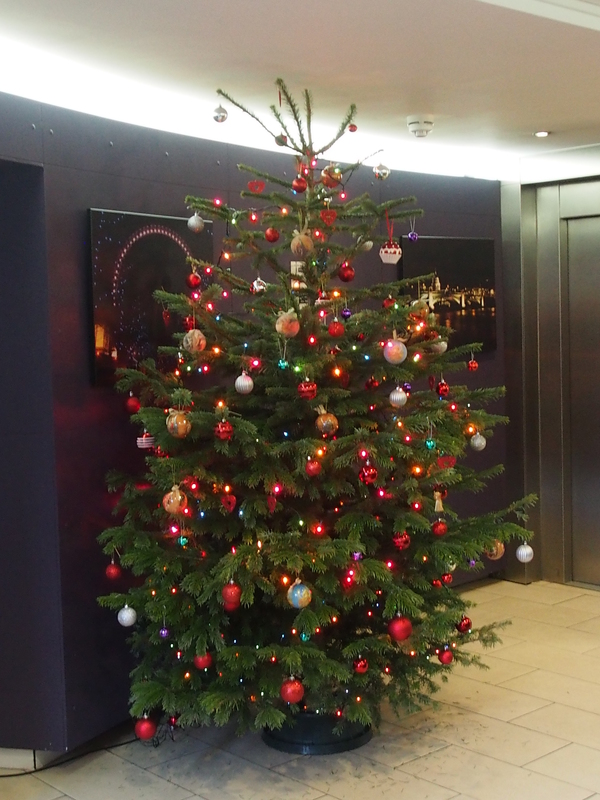 Feel free to add baubles, shiny things, choccy’s and tinsel. Bottles of mulled wine optional. This from the Vinci/St Modwen web site in respect of their latest proposals for the redevelopment of the New Covent Garden site. Wouldn’t it be earth shattering if ALL of the disparate developers we’ve got crawling all over the area could get together to come up with a uniform collective plan for the three mile stretch between Lambeth Bridge and Chelsea Bridge? Or shouldn’t our elected officials be doing that? We are holding a second round of consultation and want to hear your views. VSM first presented its emerging vision for the site in July 2013. Following consideration of the feedback we now have more detailed plans to show. Please come along to share your feedback with us before we submit a planning application to Wandsworth Borough Council. For more information, please contact the information line on 0800 019 2054 or via email: info@vsm-ncgm.co.uk.